CHEETAH 10 MIL FLASHLIGHT STUN GUN Our Defender Series flashlight stun gun is here. 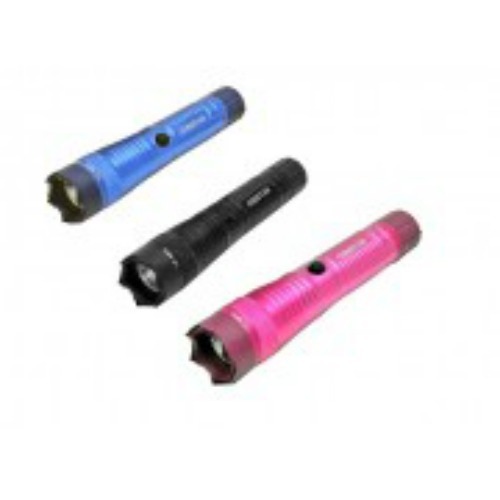 One of the most Powerful stun gun flashlights in the market a 10 million volts of power with a convenient LED super bright flashlight! 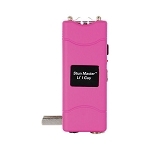 This flashlight stun gun comes with an interior rechargeable mechanism meaning no batteries required. 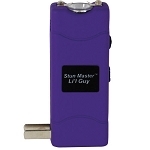 Our new shark teeth prongs technology so powerful that it can easy deter any attacker and sure to bring them to knees and can collect DNA for police use and evidence. 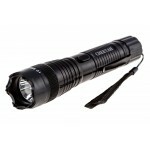 Powerful 380 lumen bright tactical flashlight with high, low and strobe modes. Aircraft grade anti rolling aluminum body. Length: 6.75 Available in Black, Pink or Purple colors..